So far, we only know of one planet in the universe that can support life. True or false? “We can think of these varying conditions from the planet’s past as alternative Earths,” Lyons says. Most of these worlds bear no resemblance to the Earth we inhabit today, yet they’ve all supported life. By understanding the long history of alternative Earths, says Lyons, we can increase the number of known, life-supporting worlds and commensurately broaden the parameters of our search for habitable planets elsewhere in the universe. As the principal investigator for the Alternative Earths Team of NASA’s Astrobiology Institute, Lyons is helping to define those parameters. A distinguished professor of biogeochemistry at the University of California, Riverside, Lyons and his team are charting the complex interplay between biological evolution and planetary evolution over billions of years of Earth history. “Something as basic as the relative levels of carbon’s two stable isotopes, Carbon-12 and Carbon-13, can provide telltale evidence of life,” says Lyons. “When you look at ancient material and you see a slightly elevated level of Carbon-12, you can be reasonably sure photosynthesis was taking place,” he says. That’s because photosynthesizing organisms favor Carbon-12 over Carbon-13 and leave a record of that preference in their organic remains. Lyons likes to imagine what an alien astronomer viewing the Earth two or three billion years ago would see as evidence for a planet teeming with life, and much of that information would lie in the composition of our early atmosphere. Although there wasn’t much oxygen in Earth’s atmosphere or oceans, there was some, and other gases, such as methane, were keeping us warm in the face of a sun that was significantly weaker than it is today. These are the conditions that set the stage for the proliferation of large, complex cells, eukaryotes, necessary for multicellular life. “Life is constantly responding to environmental change,” Lyons says, “but it is also driving it. The cause-and-effect relationship runs both ways. One of the major parts of this interplay was the rise of oxygen.” As oxygen-producing bacteria and algae became numerous in the oceans and later plants covered the land, the oxygen they generated as a by-product of photosynthesis drastically altered the composition of the Earth’s atmosphere and oceans. A native of New Jersey, Lyons became fascinated with geology at an early age. He came to Mines for its combination of academic rigor and proximity to interesting earth formations. “Where else could you go to places like Red Rocks or the I-70 road cut for a three-hour lab?” he says. Lyons played on the Mines soccer team and was a member of Beta Theta Pi, which he calls a big part of his experience and a great academic fraternity. 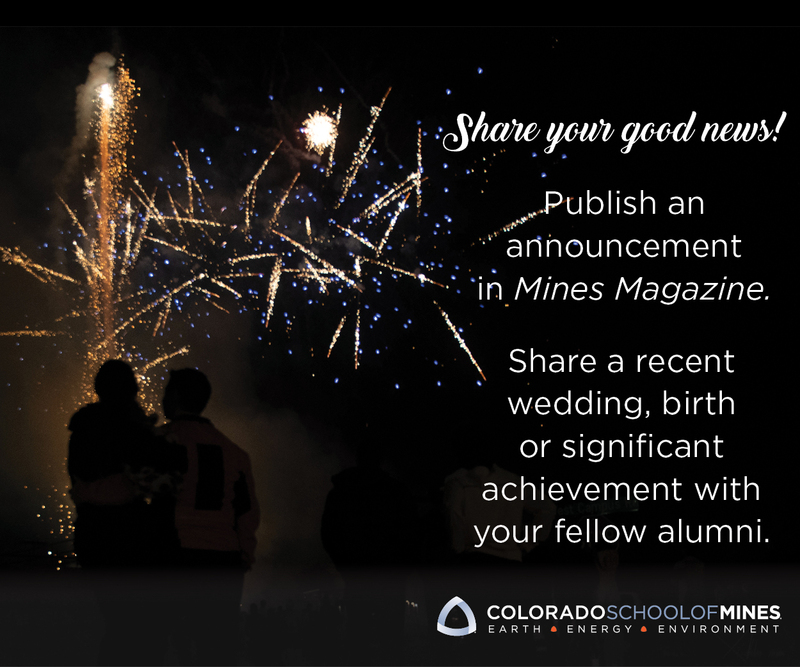 “I really enjoyed the breadth of sciences at Mines,” he says. “I appreciated what that was doing for me, the level of physics, calculus, and chemistry.” That wide scientific lens has proven to be a great advantage as he helms the NASA Alternative Earths Team.